Former Elk Grove Village Fire Chief Charles “Chuck” Henrici has died at age 83. He served in the fire department for 21 years, including eight as fire chief from 1980 to 1988. After retiring, he served on the village’s plan commission for 27 years. After retiring from the village’s department in 1988, Henrici served as chief of the River Forest Fire Department until 2002. As a member of the village’s plan commission, he helped shaped the community through work on several developments, including the growth of Alexian Brothers Medical Center, Walmart, Home Depot, and the redevelopment of the former Grove Mall into the Town Center. Visitation will take place from 3 to 9 p.m. Sunday at Grove Memorial Chapel, 199 S. Arlington Heights Road in Elk Grove Village. Closing prayers at Grove will be at 10 a.m. Monday. Funeral services then will take place at the Lutheran Church of the Holy Spirit, 150 Lions Drive, Elk Grove Village. I was in Elk Grove Village Monday morning and have a couple current pics. 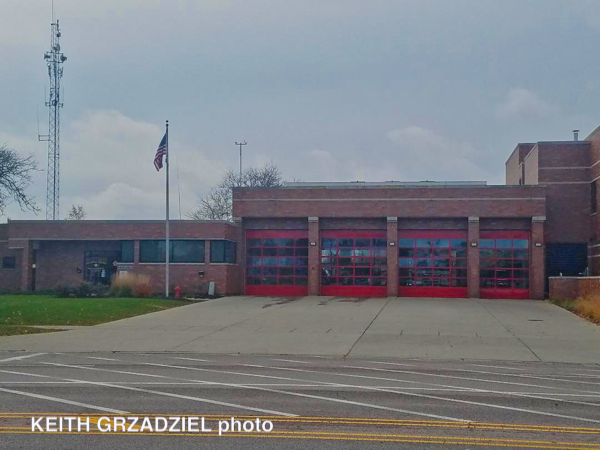 The first is of Station 7 with the new bay doors. The second pic is of Station 10 showing its latest progress with construction. Close to 50 firefighters battled a house fire for 4-1/2 hours on Oct. 10 in unincorporated Elk Grove Village. Three individuals were hospitalized for observation due to smoke inhalation. The fire, reported to 911 dispatchers at 5:24 p.m. at a home in the 500 block of Crest Avenue, was extinguished at 10 p.m., but not before it was elevated to a MABAS Box Alarm. Neighbors, who called 911, appeared to have saved between one and four occupants of the burning home. It is unclear whether they entered the home or pounded on the door to alert those inside to the fire. The split level ranch style home contained working smoke detectors, which were still ringing when firefighters arrived. The fire appeared to have started either in the garage or in a car parked near the garage. Once the garage was engulfed, fire quickly spread to the rest of the single-family home. 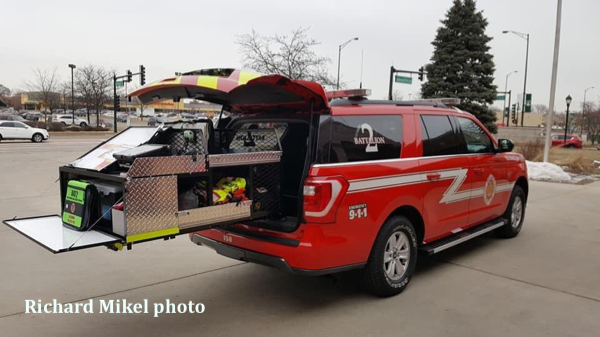 Firefighters from Elk Grove Village, Elk Grove Township, Arlington Heights, Mount Prospect, Palatine, Des Plaines, Rosemont, Rolling Meadows, Schaumburg, Itasca, and Bensenville responded to the fire. That portion of Crest Avenue is in a small pocket of unincorporated Elk Grove Township, surrounded on all sides by Elk Grove Village. 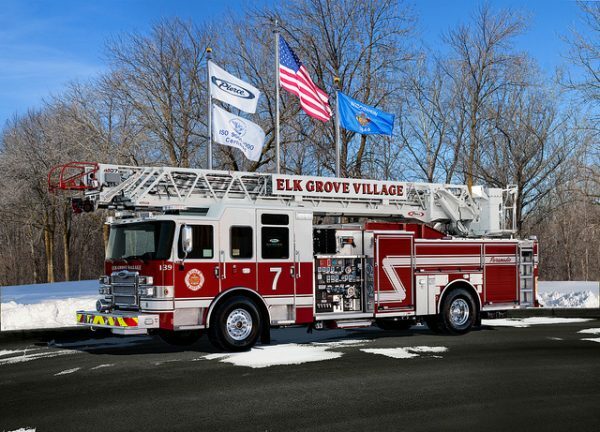 Elk Grove Village is ready to start work on two new fire stations. Demolition of the existing fire station at 676 Meacham Rd. is expected to begin Monday, Feb. 19. A new Fire Station No. 10 will be built at that site. Demolition of a building on recently purchased property at 700 Fargo Ave., a site which will serve as the new firehouse for firefighters from stations at Oakton and Lively and 1655 Greenleaf Ave., is expected in late February. Both stations are expected to break ground in late March or early April and be completed in summer 2019. The Fargo station is expected to cost $12 million. The Meacham station is expected to cost $12 million. 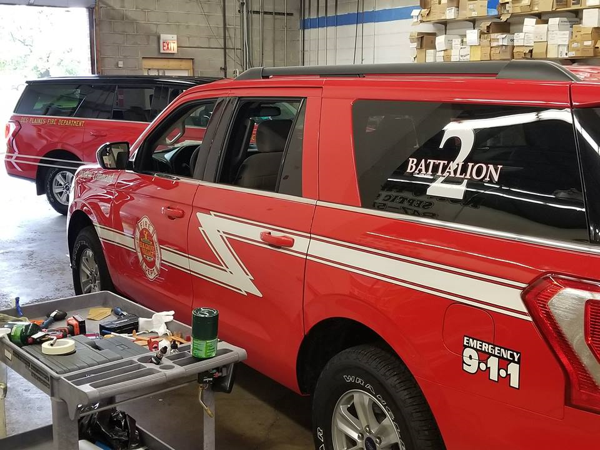 Firefighters from the Meacham station will soon move into temporary trailers on the grounds of the newly renovated west side public works facility on Biesterfield Road. 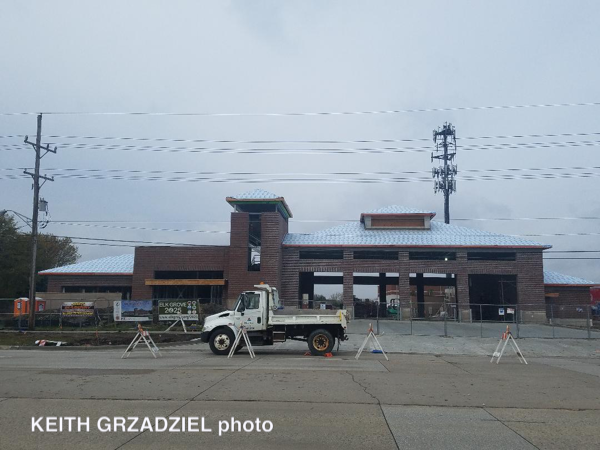 Firefighters at the Oakton and Greenleaf stations will remain at those houses until the new Fargo station is completed. At the (Jan. 23 village board meeting, trustees awarded a contract for $1,008,500 for a new Pierce aerial ladder quint. The new truck would be stationed at the Fargo firehouse. Elk Grove Village Mayor Craig Johnson and leaders of Elk Grove Village Firefighters Union Local 2340, Union President John Lodewyck and Vice President Brian McVeigh, signed a union contract extension at Tuesday’s (Feb. 13) village board meeting, extending the contract for a five-year term running from May 2019 through the end of April 2024. The contract covers 81 Elk Grove Village firefighters at the rank of lieutenant and below. The contract ties firefighter pay scales to those of the police department. Firefighters earn slightly less, but reflect increases or decreases of police, with fire lieutenants mirroring police sergeants, and firefighters and paramedics mirroring police patrol officers. Battalion chiefs, the deputy fire chief, and Fire Chief Richard Mikel are exempt from the contract. 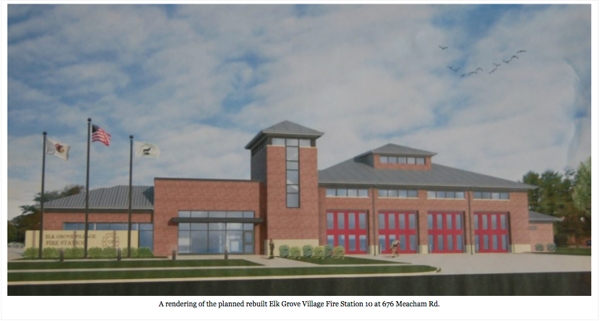 Renderings and preliminary floor plans for two new village fire stations, part of the village’s Elk Grove 2025 $110 million infrastructure plan, were on display at the Elk Grove Fire Department Open House Oct. 15. Artists rendering of a rebuilt Fire Station No. 10 at 676 Meacham Rd. 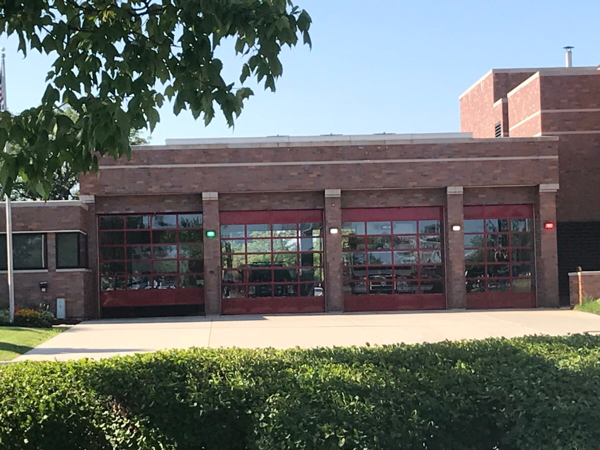 A new station on property recently purchased at 700 Fargo Ave. would combine two fire stations — the larger station at 1000 Oakton St. and a smaller one-engine station at 1655 Greenleaf Ave. — into one location in the Elk Grove Business Park. Fire Chief Richard Mikel said that new station would be given the designation of Station No. 8 or 9. The other station at 676 Meacham Rd. would be completely rebuilt on the site of the existing Fire Station No. 10 and would keep that name. With the final design being completed with technical drawings, bids on the two projects are expected to go out in November or December for the anticipated March groundbreaking. The new stations are expected to be completed in 2019. Rendering for a new combined Elk Grove Fire Station, either designated 8 or 9 to be built at 700 Fargo Ave.
Elk Grove Village Mayor Craig Johnson was hesitant to provide an estimate for a range in price for the two new fire stations until after bids come back from construction firms, citing volatility in the construction market. 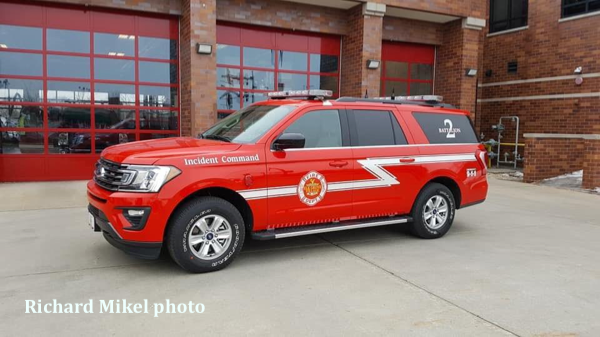 Preliminary plans for both stations show four truck bays, training rooms and a new approach to decontamination for firefighters returning to the station after a fire, reducing the amount of contaminants, including some carcinogens tracked into both the fire stations and returning trucks. Mikel said the idea is to keep used turnout gear on one side of truck bays across from where firefighters live and work until it is cleaned. Mikel said that “dirty” side of the house also includes showers. Station 10 would have eight bunks, a larger training room and training tower, Mikel said. Station No. 8 or 9 would have 11 bunks and a smaller training room.